I need to start by apologizing for the week long blog break. It wasn't really my intention. It started with the typical busy beginning of the week and then unfortunately one of my husband's uncles who was very ill passed away. I am sure it can be understood how that would effect me and that the blogging then came to a short halt. Anyways I am back and what a nice comment to come back to: It was so nice of Annette Velsh of http://livingtherepurposefullife.blogspot.com/ to tag me in this Liebster tag. She has a lovely blog as well, so go check that out for some inspiration. Thanks so much for tagging me Annette! 3. Tag 11 other bloggers with less then 200 followers with this award. 4. Tell those 11 bloggers that you've awarded them with this tag. 1. All things Cooking and beauty related aside, some of my favorite activities and hobbies are scrapbooking, listening to music and singing along hehe, cleaning & organizing my apartment, reading a book, drinking tea, playing with my gorgeous son, blogging of course, rollerblading or biking, dinner with my awesome husband, swimming, taking photos etc. 2. I try to be as healthy as I possibly can- I drink alot of water, take vitamins daily, apply sunscreen before walking out the door ( even in the winter), wear sunglasses outside most of the time, try to do some form of exercise for 30 minutes to an hour every day- walking, turbo-fire, sit ups and incorporate healthier foods like fruits and veggies into my every day diet. 3. I absolutely adore spending time with my close family and friends. There is nothing like it! 4. I love small animals- cats, dogs, goldfish, hamsters, you name it. I don't own any animals at this time. Their just so cute. 5. I'm super shy around people I don't know or amongst big crowds. 6. My favorite color is turquoise. 7. I am left handed. I do absolutely everything with my left hand- cut with scissors, write, paint, apply eyeliner. Makes it pretty difficult for a self manicure. 8. I hardly ever wear bracelets or watches or any jewelry on my wrists, they just annoy me. 9. My favorite foods are mushrooms, avocado, cheese and potatoes. 10. I start every single day with a homemade cup of coffee. I'm not addicted- I could go without it easily. I just like how it tastes and it gets me on track for accomplishing everything I need to get done. 1. How and when did you start blogging and why? I started blogging in 2009. It started with my realization of how much I loved to cook and wanting to share my recipes with others. Soon after I decided to incorporate my love for cosmetics and beauty and share my tips with others as a newly certified makeup artist. 2. What's the best beauty tip or trick you've learnt recently? Wipe the mascara wand off on a tissue before applying to avoid clumps. 3. Do you have any beauty confessions? I tend to forget primer when applying my own face makeup. I always use it when applying makeup on clients and I recommend it to everyone as it helps to achieve a longer lasting makeup look. Sometimes I'm just in a rush to get ready and it gets left out. 4. What's your favorite item in your wardrobe right now? 5. Food you can't live without? 6. Do you have a signature scent? if so what is it? I like to switch up my scent pretty often so I tend to purchase roller balls and only purchase the larger bottles of perfumes that I absolutely love. My all time favorites are Ralph Lauren Romance, Burberry Britt, Michael Kors Gold and Bath and Body Works Twilight Woods. 7.What's the color of your nail polish at the moment? 8. What are your top fashion stores? 9. What's the accessory you can't do without? Sunglasses. To avoid wrinkles that come from squinting and sun damage to the exposed eyes. 10. Which season do you most prefer? Summer By Far. I love the heat since I'm a naturally cold person. I feel like my summer wardrobe and makeup routine are far more interesting then the other months as well. 11. What are your beauty musts for the upcoming months? I'll probably incorporate some of fall 2012's makeup trends into my looks- glowy skin, winged liner, smokey eyes, metallic shades, defined brows, bolder lips-don't know that I will wear reds and maroons but bolder then nudes and light pinks surely. And here are the bloggers that I am tagging in this Liebster award. If you were tagged and have not yet been tagged for this award feel free to do the tag! These are blogs that go along with my blog theme (food, beauty, photography, interior design, fashion, art) or that are just of interest to me/ inspiring to me. Go check them out! Thanks again Annette for tagging me in this Liebster award tag! Would you like win a free makeup application? 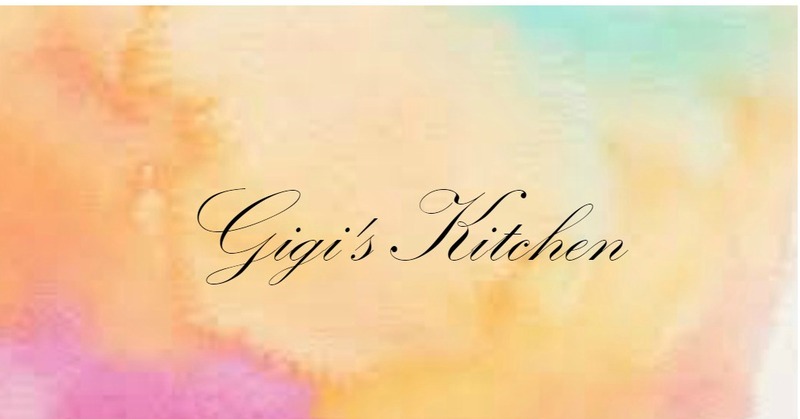 All you need to do to join the giveaway is "like" my page- gigi's makeup on Facebook and you could win! Go check that out here. Did you know? you can stay updated easily by subscribing with Google connect, by email or with bloglovin' in the left side bar of this blog. Thanks you for stopping by! I apreciate my readers and those who comment or follow etc. so very much!